Earlier this May, Modest Mouse announced a run of tour dates in the fall, having toured fairly extensively for the past year or so. This latest tour was intended to start on September 17 in La Crosse, WI at the LaCrosse Center but at the last minute, it didn’t. 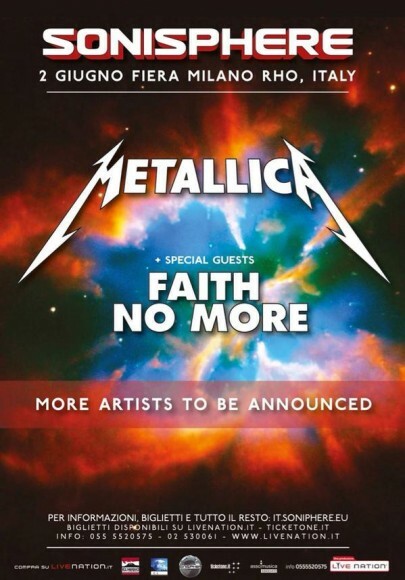 The band Tweeted that they would have to cancel the show “due to unforeseen circumstances.” According to the LaCrosse Tribune, Art Fahey, executive director of the LaCrosse Center which is the venue that was supposed to host the show, he was informed of the cancellation at 5 PM local time, almost literally the definition of “last minute” – the show was supposed to take place at 7:30 PM. “It’s just frustrating for everybody involved,” Fahey said. Due to unforeseen circumstances, tonight’s Modest Mouse show in La Crosse, WI has been canceled. The band apologizes to its fans in La Crosse, and hopes to return soon. Tickets will be refunded at point of purchase. Tonight, the band was supposed to play another show in the Midwest, this time in Duluth at the Duluth Entertainment Convention Center. Showtime was supposed to be 7 PM. This time, the band pushed the announcement even later, tweeting after 6PM that the show would also be cancelled (this time not due to unforeseen circumstances). According to employees of the DECC, they didn’t find out about the cancellation until minutes before it was officially announced. Tonight’s Modest Mouse show in Duluth has been canceled. The band apologizes to its fans in Duluth and hopes to return soon. Refunds will be available at point of purchase. Refunds for both shows were made available at the point of purchase. No word yet on the cause of the cancellations or whether they’ll play the next show on Wednesday in Green Bay, WI. To make matters worse, the supporting acts, Termination Dust and Grandad, who expected to be opening for one of the biggest alternative rock acts of the last decade or so, played free shows at had to be substantially smaller venues in town. On Monday they played at Stolpa’s Stein Haus in LaCrosse, while on Tuesday they played at The Red Herring Lounge in Duluth.